The Western Cooling Efficiency Center (WCEC) accelerates development and commercialization of efficient heating, cooling, and energy distribution solutions through stakeholder engagement, innovation, R&D, education and outreach. WCEC is comprised of 13 full-time professional engineers, a behavioral scientist, and support staff working on 15 different projects for a variety of stakeholders, including the Department of Defense, the California Energy Commission, and the major utilities. Our research successes and innovations are owed largely to the cooperative interests and combined efforts of our valued network of industry partners, collaborators, and research sponsors. WCEC is proud to be a part of this movement to advance a more sustainable energy efficient future. WCEC is developing the next generation of solar thermal receivers. These new solar thermal receivers, combined with smaller turbines designed to use sCO2, take up much less space and generate more overall electricity than traditional receivers—absorbing and transporting 100W per cm2. Traditional receivers can only absorb up to 60W per cm2, and the turbines used in combination with traditional receivers are larger and have larger energy losses. These new microscale thermal receivers/heat exchangers are created using a 3-D printed additive production process, and the Center is researching a variety of applications for this new technology including: exhaust heat energy recovery in large industrial processes and gas turbine applications such as large naval ships. In Phase I of the project, researchers examined thermal characterization of flow through the microscale passages of the receiver. 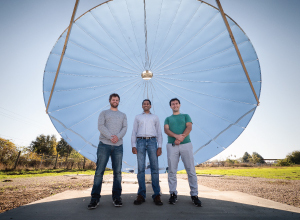 In Phase II, UC Davis will characterize the performance of a 20 kW microchannel receiver on the newly commissioned 7-meter parabolic solar dish. California is the energy efficiency leader in the U.S., and much of that success is due to policy decisions that promote deep energy savings through efficient building practices and building standards. Pushing for more aggressive energy savings requires that building standards be revised frequently. While this can promote new, energy efficient building practices, it also leads to confusion for those who must stay informed of the latest requirements including plans examiners, building inspectors, contractors, and builders. 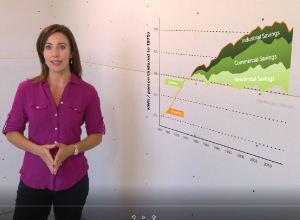 To provide another avenue to obtain information on the latest standards, the California Energy Commission (CEC) funded WCEC to create video-based courses that cover the 2016 Building Energy Efficiency Standards for residential HVAC systems. WCEC has completed a 9-course training module for residential HVAC standards, and has been re-contracted by the CEC to create more courses for commercial HVAC standards. 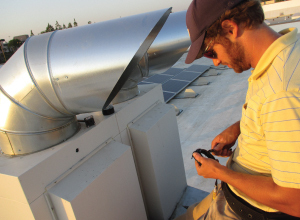 WCEC, funded by the California Energy Commission’s Energy Innovation Small Grant Program, developed an automatic dryer cycle termination controller that utilized the relationship between dryer drum inlet temperatures and outlet temperatures to accurately predict the end of the drying cycle. The technology promises to be more accurate and robust in performance under different load and environmental conditions in comparison to existing technology. The low-cost automatic controller was demonstrated in the laboratory to reduce energy use in gas clothes dryers by accurately terminating the drying cycle. 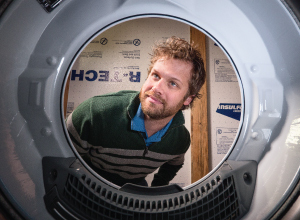 In addition, researchers found that information obtained in the drying cycle can be used to predict real-time energy efficiency metrics to track dryer performance over time as a means for fault detection and to provide information to the consumer. Download WCEC’s Case Study on this technology: bit.ly/dryercasestudy. Indoor farming operations do not require the typical ratio of sensible cooling (which maintains air temperature) and latent cooling (which maintains humidity levels) required for residential or commercial buildings. In order to meet these specialized requirements, dehumidification systems are often necessary. Traditional dehumidification systems provide dehumidification and increase the air temperature, as opposed to the desired dehumidification and reduction of air temperature. An alternative is MSP Technology’s dehumidification system that uses a plate air-to-air heat exchanger and a cooling coil that is part of a split compressor-based refrigeration system. This process results in a ratio of sensible to latent cooling that is well suited for indoor farming applications. 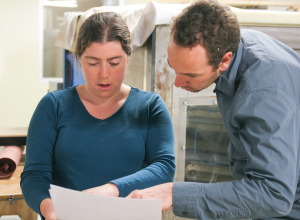 Through a project funded by Xcel Energy, WCEC conducted experimental laboratory testing and numerical modeling to estimate the annual energy savings produced by using MSP Technology’s dehumidification system over a traditional dehumidification system. Researchers found that implementation of MSP Technology’s system has the potential to save 30% or more of the energy used for dehumidification and cooling in indoor farming applications. Download the Case Study: http://bit.ly/mspcasestudy. WCEC is working on a project, funded by the California Energy Commission and led by the Electric Power Research Institute (EPRI), to integrate several advanced technologies available world-wide or in the RD&D phase into a single space-conditioning system for residential buildings that is cost-effectively optimized for California’s climatic conditions. 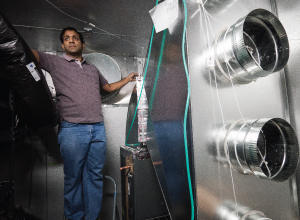 The full project team will evaluate several technologies, including automated demand response, alternative refrigerants, and heat recovery ventilators. 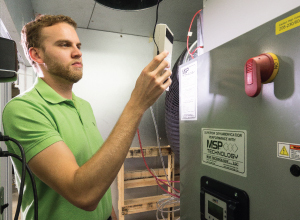 The WCEC is under subcontract to EPRI to specifically test the performance of a variable speed heat pump system connected to typical ductwork that is located outside of the conditioned space. Through lab testing, researchers are measuring the performance of the duct system and determining appropriate strategies for controlling variable speed equipment based upon the overall system performance. Heat stress remains a major cause of diminished milk production and increased disease among lactating dairy cows, with annual losses directly related to heat stress exceeding $800 million. 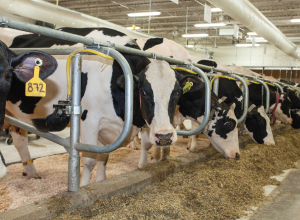 Current methods to reduce thermal stress on cows require significant amounts of energy and water and the resulting hot, moist environment promotes bacterial growth, posing a hazard to the health of the livestock. More importantly, the current approaches consume significant amounts of water since the application of water is imprecise and wets the general area. WCEC will demonstrate two novel approaches, relative to the current practice, of cooling livestock. In the first approach, conduction cooling (CC), researchers will cool the bedding area beneath the cow using heat exchange mats embedded in the soil. To reduce energy consumption, water flowing through the heat exchange mats will be chilled using a novel Sub-Wet Bulb Evaporative Chiller. In the second approach, targeted convection cooling, researchers will use fabric ducting to direct cool air on the cows. The air will be cooled using a high-efficiency direct evaporative cooler. Both of these approaches promise significant water and energy savings compared to standard practices (28-38% reduced energy and 73-86% reduced water consumption). New standards, building practices, and advanced technologies have significantly improved the energy efficiency and safety of homes in California. 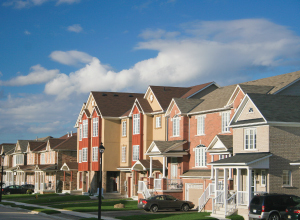 Existing homes, however, which make up the majority of the residential building stock, are left behind with underperforming equipment. One major shortcoming of older homes is the reliance on leaks in the building shell to provide ventilation for the occupants. Not controlling the source and amount of ventilation air in a home has been demonstrated to not only promote unhealthy conditions for the occupants, but also introduces additional conditioning loads that the heating and cooling equipment must remove. Sealing the leaks in the building shell and implementing smarter ventilation strategies improves conditions for the occupants and reduces cooling energy use and peak demand which allows for downsized air conditioning equipment for the home. In 2017, the WCEC will begin to address these challenges by developing energy efficient HVAC packages for existing residential buildings. Much of the behavioral work on HVAC technology adoption focuses on customers, to the exclusion of other critical stakeholders. However, if the middlemen - e.g., distributors, contractors – do not adopt efficient technologies, the question of customer adoption is moot. This study, funded by Southern California Edison, aims to fill that gap – and look beyond the issue of high costs - by targeting the myriad barriers to adoption faced by a range of stakeholders. Previous research conducted by WCEC identified key behavioral barriers to the adoption of energy efficient technologies for distributors/contractors, and those findings are the basis for this new project. 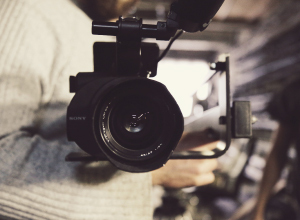 This project looks to alleviate some of these barriers by creating informational videos on new technologies using interviews and information from building owners, designers and planners that already use these new technologies. In 2013, the implementation the California Clean Energy Jobs Act (Proposition 39) allocated approximately $550 million annually to improve energy efficiency and expand clean energy generation in schools. There is anecdotal evidence that the HVAC retrofits being done through this program are not utilizing advanced HVAC technologies that have the potential to increase energy efficiency and indoor environmental quality over minimally code-compliant systems. WCEC’s proposed research will demonstrate the technical performance and marketability of selected advanced HVAC technologies to facilitate increased adoption in California schools. This project will survey the energy efficiency and ventilation characteristics of recent HVAC retrofits in schools, field test the technical performance of advanced HVAC systems designed to deliver improved ventilation and energy efficiency, estimate the potential environmental and health impacts of technology diffusion, and identify ways to address market barriers that currently impede broader market adoption. Although the technical feasibility of achieving zero net energy (ZNE) in many building types in California has been well documented, the optimal strategy for achieving the highest percentage of ZNE that is cost-effective remains unclear. The number of building types and technologies are too numerous to answer these questions through field studies. Instead, WCEC will use whole building simulations to determine the best path to achieving California’s ZNE goals, which could then, in principle, be validated through field studies. With the assistance of EPRI and BIRAEnergy, the WCEC will use EnergyPlus to model technologies for reducing net electricity consumption and demand in multifamily residential and commercial buildings. Researchers will conduct simulations in each of California’s 16 climate zones. They will then use simulation results in a cost-benefit analysis to determine the maximum percent of ZNE that can be cost effectively achieved in each building type and climate zone. For more information, please visit the Western Cooling Efficiency Center.